Each of the red dots in the image below represents an area of society that needs to change. (for example, national security, education, health care or women's rights.) The lines between the dots represent the connections among these new ways of thinking. 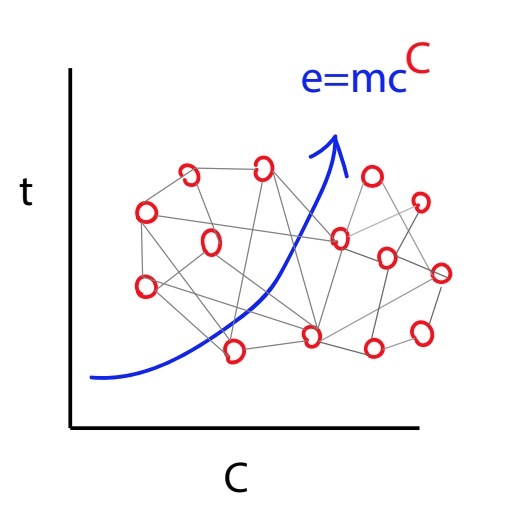 e=mcC represents what is being called "Big C," to represent the evolutionary change this shift could produce. CLICK HERE to see the image full screen.